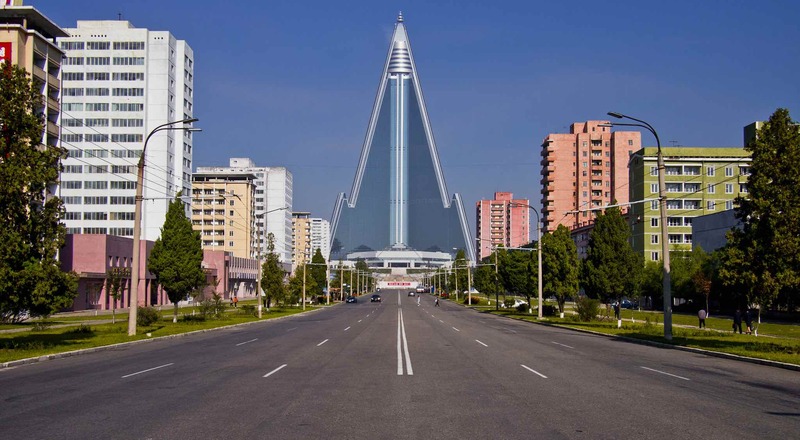 If the number of skyscrapers is an indication of a city’s prestige, then Pyongyang’s 16 would seem to dwarf the mere two that are found in Auckland. Power can be judged in many ways. If a currency’s share of international transactions is any indication of leverage over the global economy, then the Chinese renminbi’s 1.8% share pales in comparison to the US dollar’s 40.5%. Or take Japan, which is the most searched country on Google among Asian countries, with notable interest coming from Southeast Asia. Or look at Indonesia’s economy, projected by 2030 to overtake both Japan’s and Russia’s, hinting at future players in a rapidly changing region. Individually, these granular insights are interesting in their own right. But taken together, they begin to form a picture that is far more telling. The 2018 Asia Power Index does just this. Launched today by the Lowy Institute, the Index is rich with myriad facts and stats which, brought together, form a nuanced picture of vastly different countries and the relationships between them. Designed to be a widely applicable research tool for policymakers, academics, and media alike, the Index ranks 25 countries and territories according to the power they wield in Asia. It reaches as far west as Pakistan, as far north as Russia, and as far into the Pacific as Australia and New Zealand. The United States also has a place in the Index, as the major external player in the region. Comprised of 114 indicators of power, across eight thematic measures, the Index is the most comprehensive assessment of power in Asia ever undertaken. The big picture is compelling. The Index finds that the United States remains the pre-eminent power in Asia. China lags by 10 points but, as the emerging superpower, is rapidly closing in on the United States. The gap between China, ranked 2nd, and Japan, ranked 3rd, is a startling 33 points – that’s the same difference as between Japan and Bangladesh, ranked in 18th place. Yet we find Tokyo to be the quintessential smart power, leveraging its limited economic and military resources to have outsized influence in the region. Meanwhile, India is a giant of the future, with vast resources but unfulfilled potential. Having spent 18 months working closely on this beast of a project, it’s fascinating to see where the unexpected value in such a data-rich resource lies. What Singapore lacks in economic and military size, it makes up for with an influential network of regional relationships. While you might expect the United States and China to lead the table, it is more surprising to find Singapore, a city-state of only 5.6 million, ranked 8th in the Index. What Singapore lacks in economic and military size, it makes up for with an influential network of regional relationships. Prime Minister Lee Hsien Loong is ranked first among Index countries for efficacy in advancing the country’s diplomatic interests in the region. Singapore also tops the rankings for political stability and government effectiveness, and its citizens have visa-free access to 180 countries. Singapore’s robust defence partnerships with other Asian counties are seen through the 253 bilateral training exercises it conducted with Index countries between 2012 and 2016, and its consultation pact with Australia, Malaysia, and New Zealand. But while its extensive trade with the region – valued at US$505 billion – raises its profile as a key commercial hub of Asia, maintaining a trade-to-GDP ratio of 318% is a double-edged sword. Singapore paints the dichotomous picture of a highly stable country, particularly in institutional and political matters, with deeply entrenched structural vulnerabilities. North Korea’s profile is also filled with a number of contradictions. Despite its hermetic nature, the level of interest in North Korean affairs has rarely been higher. Indeed, as a country with a negligible economy, self-elected diplomatic isolation, and a measly rank of 17 in the Index, it’s remarkable that Pyongyang occupies a significant portion of the Index leaders’ attention. The prospective meeting between Kim Jong-un and US president Donald Trump obscures the position of considerable weakness that North Korea comes from. The Index reveals that aside from a top-five placement in military capability, North Korea flatlines on seven of the Index’s eight key measures of power. Quantitative assessments of this kind rarely extend to North Korea, in spite of the global intrigue surrounding this enigmatic state. Quantitative assessments of this kind rarely extend to North Korea, in spite of the global intrigue surrounding the enigmatic state. This was – in our view – all the more reason to include North Korea as one of the 25 countries in the Index. Gathering data about North Korea was perhaps not as difficult as expected (equally difficult and much less expected were the challenges involved in collecting data on Taiwan). Through a combination of stubborn sifting, mirror data as reported by other countries, and expert input, we were able to collate a significant collection of information on North Korea – with rewarding results. We invite you to dig into the Lowy Institute Asia Power Index – there’s something in there for everyone – and draw your own conclusions about shifting power dynamics in Asia. Drill down and compare countries across any indicator to discover your own granular insights. We’ve even included a weightings calculator that allows users to make their own assessments about the relative importance of the eight measures of power. The aim behind this initiative is to further the terms of the debate, to back up the discourse with hard facts, to engage a wide public, and to draw new conclusions about the status quo. Taipei is facing more competition from Beijing over which “China” is allowed to exist in the international community. This week's column examines how the TPP 11 and RECP proposals could compete for attention ahead of Australia's summit of South East Asian leaders next year.